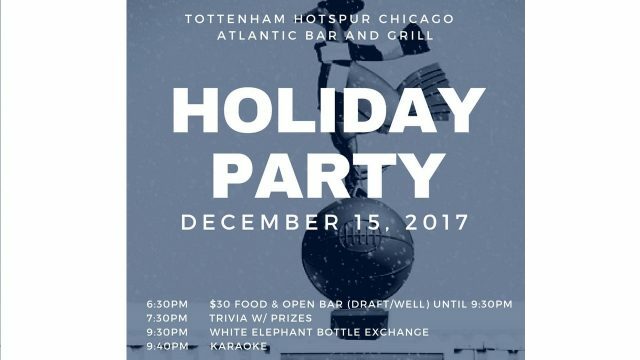 The annual Chicago Spurs holiday party will be on Friday, December 15th. The rough schedule of events is below. Price is $30 and includes 3 hours of food and open bar (drafts, well drinks). 1. Bring a wrapped bottle of booze if you want to participate. 2. $20 minimum spending limit. (Malort is $17.99, sorry folks). 3. Bottle must be wrapped. A bag with some tissue paper does not count as wrapped. 4. Each bottle is only allowed to be stolen one time.